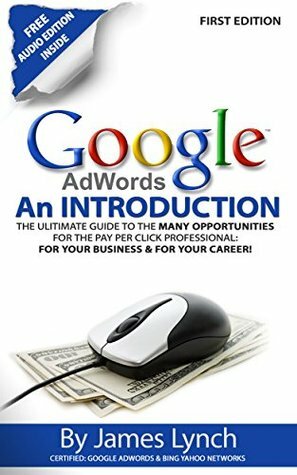 Google AdWords by James Lynch is a guide to the many opportunities for the PPC (Pay Per Click) professional. This e-book gives an insight into Google AdWords world. The author describes how using Google AdWords one can boost traffic on his/her website. This book shows you how to become a Certified Google AdWords Professional. This book not only gives you a trick or tips but also open a whole new world of digital marketing for you. James Lynch talks about all the opportunities available in PPC and Paid Search Professional. He describes how to create a campaign. He gives examples regarding Keyword search, optimizing ads, Google Display Network, how Quality Score (QS) affects one's account, and many more. He also gives a brief description of how to make a Google AdWords certified professional and how to take their exams. This is my first read of this author. This book clears all my concept regarding Google AdWords. It proves a worthy read to me. The author didn't use any unwanted information. Everything is a point to point. The language is simple and easily understandable. It's a short read but a fruitful one. I recommend it to all. I really believe everyone gains something from this book. There is no time like the present to get into the Pay Per Click game. Whether you aspire to become a Search Engine Marketing PPC Professional or just want to learn more Google AdWords Pay Per Click advertising to use it in your own business. PPC advertising can drive some really great-really targeted traffic to practically any website and you can do it fairly inexpensively if you learn how to do it right.